Corinthian cup. Loop handle. Black glaze overall save for inside of loop. Archaic-Classical. Fine, moderately hard clay with very few tiny voids and inclusions. Streaky, semilustrous slip. 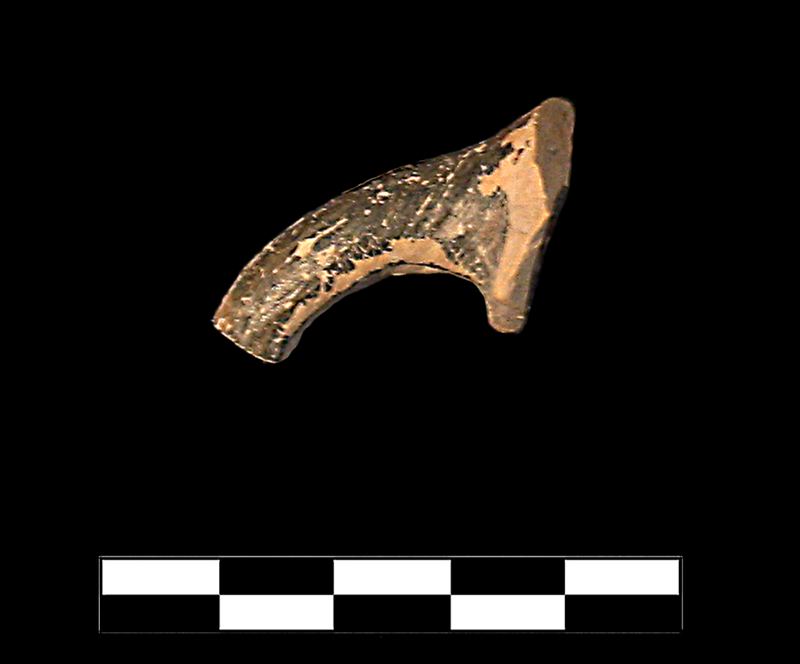 One sherd preserves small part of handle and wall. Slight, sparse abrasion and chipping.